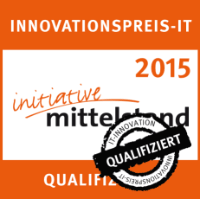 Testing with savvytest has been so innovative that we qualified for the Innovation Award IT 2015 by the German "Initiative Mittelstand"! savvytest makes testing easy, fast and highly efficient — advantages that help you create better software right now and in the future. Since 2004, the German Initiative Mittelstand award the INNOVATIONSPREIS-IT during the CeBit exhibit. Determining factors for the jury's decision are the grade of innovation regarding novelty, readiness for production and forward-looking of the solution, as well as the benefit for the customer, impact on profitability, and increase of efficiency. An independent jury, consisting of IT journalists, branch experts, scientists and professors from the special faculties review the submitted prodcuts and solutions. We are happy that we were able to master these criteria, and we are very proud of being confirmed by an independent committee! The findings, that customer requirements are the key to high-value software, lead to the idea of Behaviour-Driven Development (BDD) which offers a solution how to better integrate requirements and development. Wikipedia says: "Behaviour-driven development combines the general techniques and principles of TDD with ideas from domain-driven design and object-oriented analysis and design to provide software development and management teams with shared tools and a shared process to collaborate on software development. Although BDD is principally an idea about how software development should be managed by both business interests and technical insight, the practice of BDD does assume the use of specialized software tools to support the development process." This is formally done by using a way of description that can be understood and used by non-IT experts. One idea is to use a kind of strongly simplified programming language ("Gherkin") which uses keywords like Given, When, Then, And, or even localized language variants of it. While savvytest fully supports this principle form the base, it avoids the use of a "programming language for non-programmers", because we think it is the weakest aspect of the concept. This idea has been tried out and has failed several times in the past. Well-known examples for this are COBOL and SQL which both are still maintained best in the hands of IT experts. Strong integration of stakeholders, focussing on requirements of customer, end users, operations and insiders. Description of the behaviour of the software and software components through use case examples (test scenarios). Creation of standardized descriptions to declare pre-conditions, external behaviour, and required behaviour of the software. Automatization of these cases using mock objects for software components not implemented yet. 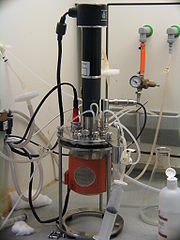 Successive implementation of these software components, replacing their mock objects. The difference is: savvytest automatically creates the descriptions for you without the need to learn an additional language! Finally, let's have a sneak peek at our lab - what happened there since our last newsletter? In our current lab version, we have now have a dramatic reduction of execution time and usage of resources on z/OS, because the necessary platform-specific transformation has been moved to the client platform. This also means that the z/Unix components are no longer required, which makes installation even simpler. As a result, unit testing becomes yet faster and easier, true to our motto once again. In addition to that, it is now possible to use Micro Focus Enterprise Developer for zEnterprise with savvytest test scenarios. Developers will be able to execute all tests immediately on their local test servers without the need to compile and deploy all components on z/OS. We are still working on the easy connection to a continuous integration server like Jenkins. Test scenarios are going to be integrated with the build by the use of a plug-in component. However, we are working on even more improvements. Some may be revealed in the upcoming newsletters. Get a free test drive now - no obligations! Ask for a free savvytest test drive and see for yourself how simple and easy it is to create unit tests using the optimum tool for it! Get in contact with us today — we look forward to offering you advice and information!